Denver-based Smashburger will have three metro Atlanta locations open by mid August and plans call for plenty more. Over a year ago, Smashburger announced plans for 50 locations in Atlanta over a multi-year plan: that plan has since been scaled back to 28. Then, the locations were going to be corporate, now they will be franchised. The first location will open July 7th on Sidney Marcus Boulevard, in Buckhead Crossing shopping center. The center is anchored by Marshalls and Office Depot, and Smashburger's space was most recently home to Fatburger, and before that, KFC. In Buckhead, Smashburger is opening across the street from U.S. Cafe, a Smyrna-based burger joint that opened on Piedmont last year. U.S. Cafe, in my opinion has fairly decent fare, but a poor location, will likely suffer significantly when Smashburger opens. Not far away, Five Guys has a location in Lindbergh City Center but it's likely to be less affected by the opening. Similarly, Grindhouse Killer Burgers, which recently opened their new location on Piedmont Avenue is far enough away with a differentiated concept, that they, too, likely will do just fine. My one worry is Farm Burger which will be opening in Tower Place later this year. Though not identical by any means, they share some similarities in concept and pricing with Smashburger, and their parking situation is far less appealing. Their one strength will be they are in the heart of Buckhead and surrounded by hungry white collars that can walk in for a quick lunch, like AT&T employees do at Five Guys at Lindbergh. Smashburger also has locations under construction in Alpharetta and Johns Creek. These locations will follow the Buckhead opening and are scheduled to open in July and August respectively. In Alpharetta, the location is on Windward Parkway in a shopping center anchored by LA Fitness and Office Depot. In Johns Creek, the location is near Menchie's Frozen Yogurt and adjacent to Stoney River Legendary Steaks on Peachtree Parkway. 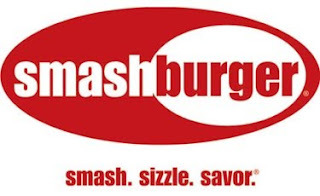 Not surprisingly, all locations Smashburger has selected will be second generation spaces, meaning they are not new structures and in fact, were all previously restaurants. While we're on the burger subject: Fatburger on Windy Hill closed up shop, leaving me with a useless half-off certificate in hand (quickly refunded by half-off depot). I'm not surprised. Bad food served by worse people. I really think we're reaching the saturation point with the burger concepts. Not exactly a healthy trend. To me, most all burgers taste the same, whether its 5 Guys or US Cafe or Grindhouse or Smashburger. It's hard to differentiate between them. I'll go to Grindhouse since it's local. Also regarding Farm Burger, why did Atlanta Bread close that location? Seemed like a great location to me, near all the Buckhead office workers? Why did Atlanta Bread abandon the city for their suburban locations? It makes no sense to me. Especially leaving Peachtree Center. Yea, Fatburger's closure on Windy Hill is far from a surprise. I had a voucher of some sort for the Buckhead location, was told to use it at WH, clearly that aint gonna happen. Do you know how long they have been closed? I agree about the burger saturation but do see room in the marketplace for multiple players. Unlike FroYo for instance where there are few ways to differentiate product, burger joints can do more to separate themselves. Grindhouse is similar to New York's Shake Shack in approach, sizing and pricing. Farm Burger takes the healthy route with plenty of homemade sides and a very non chain look and feel. Smashburger, while clearly a chain, does have some redeeming qualities such as sweet potato fries and both beef and veggie burgers. As I mention U.S. Cafe has a better than average product, especially their turkey burger but an awful location. As far as Atlanta Bread Co. goes, best I can tell they exited the metro to focus on OTP and elsewhere to refresh and gain some momentum. They attempted a refresh at Tower Place with new signage and a minor remodel but it didn't last long. The problem is that they fell too far behind Panera and were never ahead of the curve when it came to product innovation or store design. Their cafe were stale and outdated. Recently they have opened new locations but it will take time to regain public favor. I had heard there was talk they would open in TOWN Brookhaven but nothing has been said of late. Peachtree Center was NEVER refreshed or remodeled in any way and was rather large for them, quite possible they were overpaying on rent and could no longer support the space. I think they will be back in the metro but it will be 6 months to a year before that happens. Thanks for the questions and for reading the blog! Thanks for posting the location of the Johns Creek store. I was unable to find that, even after asking them on twitter. I find it interesting that two thirds of their initial locations are in north Fulton. While I agree that there is burger saturation, I don't think there is up here. The burbs are always 2 or 3 years behind Atlanta in terms of food trends. We don't have many trendy burger joints (like Farm or Flip). And on top of that, there have been several burger closures up here (The Spot, BB's Burgers, Flippin Out). I think Smash will do very well here, especially the Windward location in Alpharetta. I totally agree! I may live ITP but still wanna try Counter Burger, and Barberitos for that matter! I just tried the Black Bean Burger at Smashburger - SO GOOD!!!! For all non meat eating burger lovers - you must try smashburger!